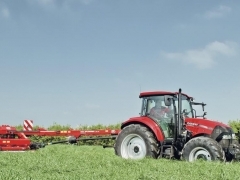 With a proven driveline, spacious cab and fuel efficient engines, these robust and reliable tractors are designed to take on general duties on arable farms, tough tasks on livestock units, and daily farm business. 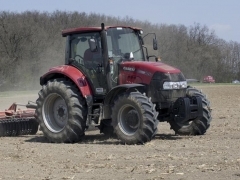 Whether working with mounted machinery, trailed equipment, with a loader or on transport duties, versatile Farmall U tractors more than live up to the reputation of the famous Farmall name. 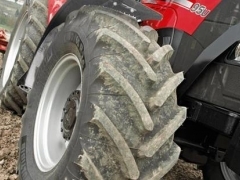 This reliable hardworking utility tractor has the ability to handle the every day tasks of operation in livestock, dairy, and arable farming in either the leading role or as support to more powerful tractors. 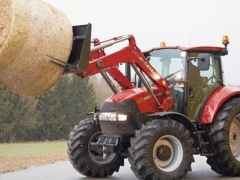 In peak season, when the hours are long and the job must get done, Farmall U will rise to the challenge and enable the team to deliver, and it is equally at home in municipal applications. 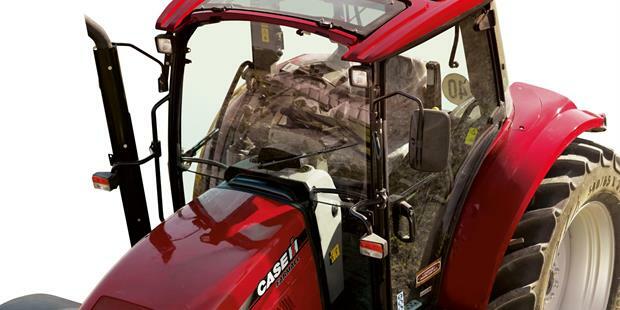 A large air-conditioned cab with 5.2 m² glass area provides a superb operator environment. Inside a comfortable driver seat and optional passenger seat takes the stress out of the longest working day. A logical control layout and clear concise information displays complete the package. 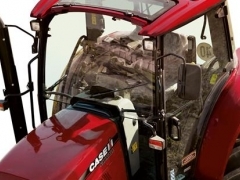 The Farmall U cab features ‘surround’ vision from unsurpassed sight lines, courtesy of full-length glass doors, broad front and rear windows and an opening cab roof window for best-in-class loader visibility. The result is unobstructed views in every direction. Proven FPT engines with common rail fuelling technology and exhaust after-treatment meet Stage IIIB emissions legislation. Quick acceleration, more torque and constant maximum power is available between 1,900 and 2,300 rpm. Farmall U models are equipped as standard with an efficient, effective 24 x 24 two-speed Powershift transmission, while options include a 12 x 12 gearbox with 40 kph capability and an optional 20 x 20 creeper gearbox that allows speeds as low as 255 metres/hour. All transmissions are equipped with Powershuttle, which can be modulated for soft/medium/fast response. An EHC (Electronic Hitch Control) is standard. With a choice of up to three rear and two mid-mounted hydraulic remote valves, hydraulic flow can be directed as required to control a wide range of equipment. At the rear linkage, there’s maximum 5,400kg (OECD) of lifting power. 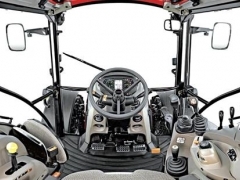 Loader-ready available from the plant includes a loader sub-frame with rear axle reinforcement, multiblock quick connection, mid mount valves and integrated joystick. 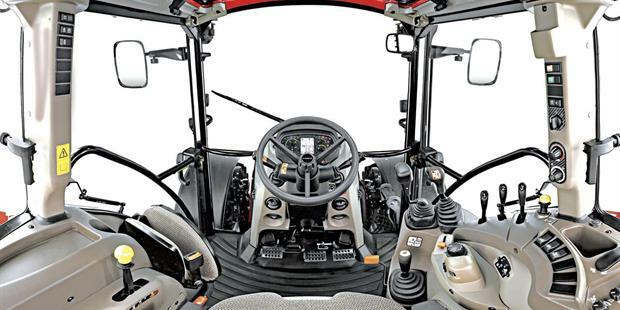 A shuttle lever mounted on the steering column makes for predictable and safe manoeuvring especially during loader work, around the yard or tight headland turns. 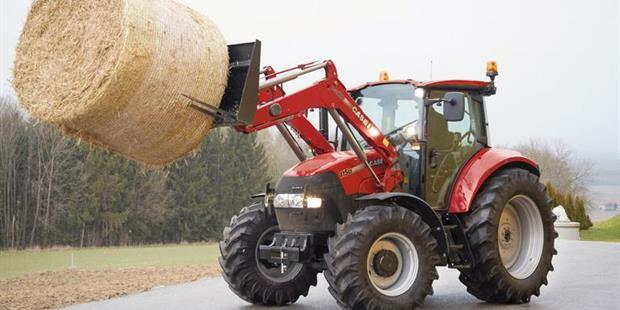 With 38in tyres and 100 % diff lock on both front and rear axles, Farmall U models can really put their power to the ground for ultimate productivity. 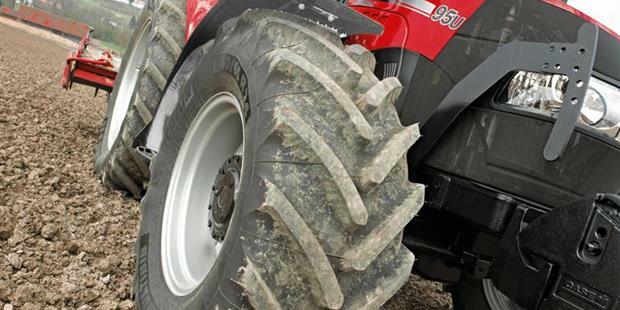 A bigger tyre footprint improves traction and reduces compaction. Longer service intervals of 500 hours mean that Farmall U tractors spend much more time at work and much less in the workshop.